A Ramsay Highlander baby leaf harvester has allowed Victorian spinach, broccoli and lettuce producer Bulmer Farms to increase its production this year. An international search for the latest baby leaf harvester tech has paid off for Bulmer Farms managing director Andrew Bulmer. A huge investment in the latest baby leaf harvester and leaf processing equipment has enabled a Victorian spinach farmer to increase his production and annual output. Bulmer Farms is one of the biggest spinach producers in Australia, with 550ha at Lindenow in Victoria, but it also produces baby broccoli and lettuce in large quantities. Its recent investment in infrastructure includes a Ramsay Highlander baby leaf harvester, a Sormac Washline continuous drying tunnel, a new pack-house facility, 10,000 new sprinklers and other irrigation infrastructure upgrades. Speaking to TradeFarmMachinery.com.au at the recent AgriVictoria State of Opportunity 2016 Summit in Melbourne, Bulmer Farms managing director Andrew Bulmer says his team made a conscious decision to utilise the best technology available to help drive business growth into the future. "In 2014 we decided we needed to improve all aspects of our baby leaf supply chain," Bulmer says. 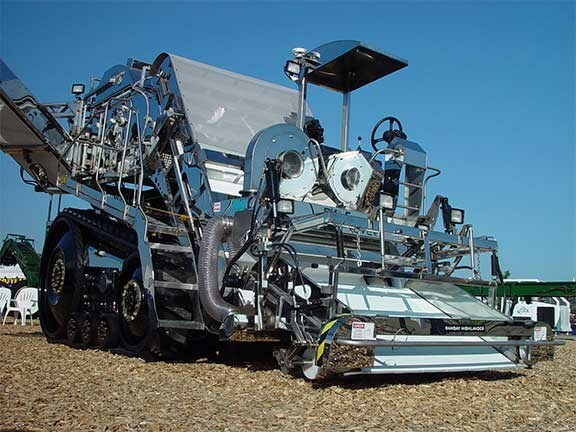 "We travelled extensively around the world looking at harvesters and washline equipment. "We sent our agronomist to attend international field days to scope out new trends and the best available seed varieties on the market. "We made a commitment as a business to place ourselves at the forefront of world’s best practice." 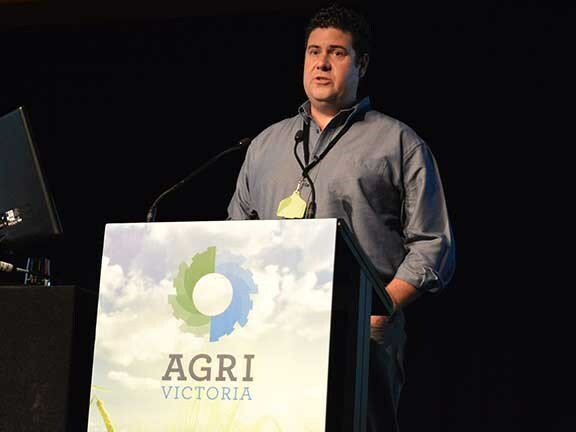 Bulmer won the inaugural Ausveg Vic grower of the year award in May this year, and says his investment in the latest gear contributed to this success. The new Sormac baby leaf processing line was shipped from the Netherlands and delivered to the farm in July last year. It has since helped to increase production capacity and improve the quality of the baby leaf produced by Bulmer Farms. It came in five separate shipping containers and was assembled on site. Local electrical, refrigeration and plumbing contractors together with the Sormac engineer assisted Bulmer Farms maintenance crews to assemble, install and commission the new plant. The Ramsay Highlander baby leaf harvester has reduced harvesting costs and is capable of cutting large amounts of leaf quickly. If you're looking for farm machinery for sale, check out our listings.